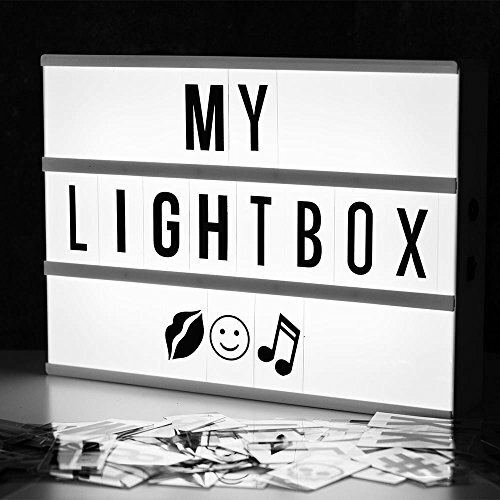 All kinds of cinema lightbox products, are listed for sale on our store! Inspired by old Hollywood vintage cinema, slide interchangeable clear plastic tiles into rails on the front of this sleek lightbox to create words and phrases. Include: 45 letters, 45 numbers, 80 symbols and 10 blank cards.